MBA Master's Program received its second International Certificate of Accreditation! Home › MBA Master's Program received its second International Certificate of Accreditation! 2018 became the year of International Accreditation at the Faculty of Agricultural Management. On October 5, 2018, the MBA Master's program received the second International Accreditation Certificate from the AgriMBA ICA Standing Committee. The Master's Degree Program with double diplomas in administrative management ( internationally accredited by AGRIMBA ICA International Council) started in 2002. 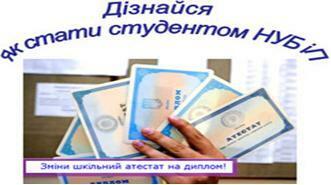 The process of international accreditation was conducted twice: in 2002 in Warsaw, Poland and in 2008 in Zagreb, Croatia. A compulsory requirement for successful accreditation is the international component of the program, which implies that lecturers from partner universities attend guest lectures and participate directly in the educational process. The certificate was signed by the founder of AGRIMBA International Network, Secretary General of the AGRIMBA ICA International Council, Professor Wim Heijman (Wageningen University, the Netherlands) and the Chairman of the AGRIMBA International Council, Professor Peter Bielik (Slovak University of Agriculture in Nitra, Slovakia). Accreditation lasted during 2017-2018 academic year. In June 2018, the Faculty of Agrarian Management hosted a visit of the Accreditation Committee, consisting of Dr. Joseph Yurachek (University of Zagreb, Croatia) and Vladislav Valakha (Slovak University of Agriculture in Nitra). During the visit of the accreditation committee there were meetings-interviews with the students of the master's program and the teachers involved in the teaching process. Prior to the visit, Associate Professor of the Department of Administrative Management and Foreign Economic Activity, Olena Kovtun, who is the coordinator of the MBA program, and Associate Professor of the same department, Olga Kostyuk, the program manager, prepared the self-assessment report on the current MBA program. The main recommendation given by the accreditation committee was to complete master's theses in English. Therefore, the university has two more years to train MBA students to defend their master's theses in English before the next reviewing process by professors from partner universities. For reference: NUBiP of Ukraine is a member of ICA Association (Association for European Life Science Universities, which includes 60 leading European universities). ICA has permanent committees, one of which is AGRIMBA. The AGRIMBA International Council has its own International Journal APSTRACT (ISSN: 1789-221X, electronic version: ISSN 1789-7874). 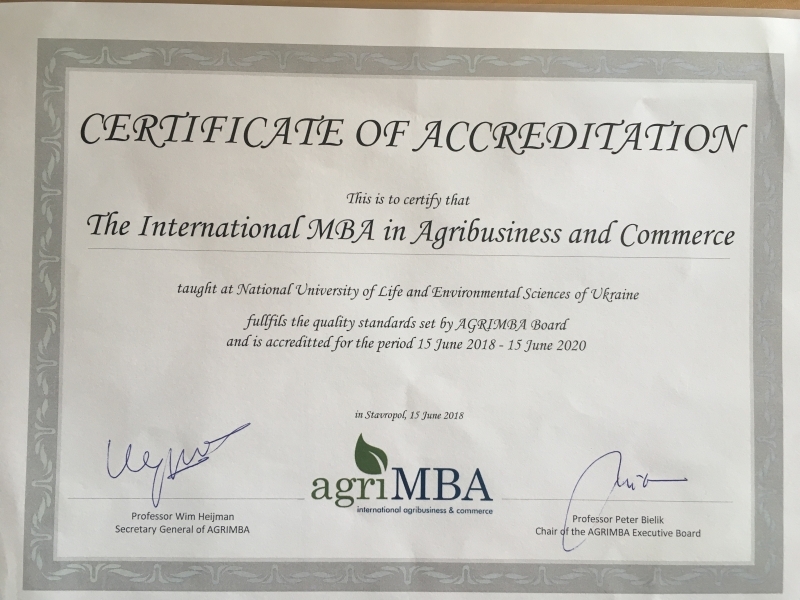 NUBiP of Ukraine is the only Ukrainian university to have a master’s program (Administrative Management), accredited by ICA and AGRIMBA. ICA Member Institutions: Wageningen University (the Netherlands), Czech University of Life Sciences (Prague), Warsaw University of Life Sciences (Poland), University of Zagreb (Croatia), Slovak University of Agriculture in Nitra, University of Debrecen( Hungary), University of Hohenheim (Germany) and others.